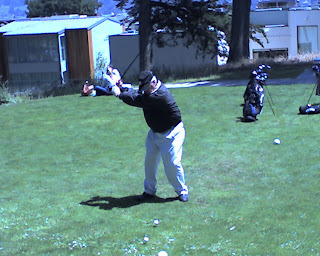 ... ignore Bob's fine drive. Really, there was a couple having a picnic in the 18th teebox. Anyway, Bob is on his way to a double bogey. I parred 18.